Liaison librarians are assuming a wide variety of new roles that serve their institutions’ students, staff, and faculty. An essential foundation of these new roles is the ability to engage with the liaison’s user community. These engagement skills are not necessarily natural or innate, nor are they skills that most liaison librarians have had an opportunity to learn and develop. This article adapts a practical selling framework for the liaison context with examples that demonstrate how this framework can lead to improved communication, engagement, and problem-solving with liaison user communities. The movement from a collection-centered focus to an engagement-centered focus is a central element in the evolving landscape of liaison librarianship. Although roles vary across institutions, liaison librarians share a common focus on supporting teaching, learning, and research by providing services to defined organizational units across the academic enterprise. Although recent work provides a clear articulation of new and emerging areas of liaison librarianship (Malenfant 2010; Kenney 2015; Miller and Pressley 2015; Pasek 2015; The Ohio State University Libraries n.d.), the existing literature provides little guidance on the interpersonal and communications skills that are required to carry out these new roles and responsibilities. While collection management, research services, and teaching remain core skills for liaison librarians, the advocacy elements of an engagement-centered philosophy positions liaison librarians as a “salesforce” for library-related solutions. While the LIS literature provides a rich collection of perspectives and advice on outreach and marketing activities for liaison librarians (Latta 1992; Frank, Raschke, and Wood 2001; Moore 2005; Stoddart, Bryant, Baker, Lee, and Spencer 2006; Rodwell and Fairbairn, 2008; Daniel et al. 2011; Polger and Okamoto 2013; Silver 2014), this article endeavors to address gaps in the skills needed to engage more deeply with liaison user communities by identifying a compelling suite of practical communication techniques from the sales literature. These techniques provide a selling framework that can improve liaison librarians’ communication, engagement, and problem-solving skills. When I say “we [librarians] need to be more like salespeople” that doesn’t mean we should all become obnoxious used car salespeople. It’s not about “pushy” but it is about “persuasion”. My point is that we have to be assertive and get out of the library and let faculty know what we have and how to best use it. It’s not about pushing people to use our resources just because we have it. It’s about helping them to make the right choices and putting the resources where they can be readily found and used. If we just wait around for the customers – there – I said it – to figure it out and make the right choice that’s a surefire recipe for making ourselves obsolete. In practical terms an engagement-centered model asks librarians to proactively and confidently uncover and solve constituents’ problems that relate to information use, management, and distribution. For Peacemaker and Heinze, engaged library users “pass a threshold from passive recipient of services, to a proactive involved partner who desires a role in shaping the services they receive” (Peacemaker and Heinze 2015). To achieve these ends, sales skills can greatly assist liaison librarians with promoting the benefits of library services and resources. Building on this idea, this article advocates for what Daniel Pink (2012) calls “non-sales selling,” the daily activities in which “we’re persuading, convincing, and influencing others in ways that don’t involve anyone making a purchase” (21). Although there is a recognition of the need for librarians to develop these advocacy skills (Bell 2009; Farkas 2009; Highlender 2010), such skills are not necessarily natural or innate, nor are they skills that most liaison librarians have had an opportunity to learn and develop. While the outreach and marketing literature provides a comprehensive outreach template for liaison librarians, the existing literature has little to say about the communication skills that are needed to be effective in these activities. In order to thrive in this engagement-centered paradigm, liaison librarians must utilize a specific range of persuasion skills to sell services and solutions. 1. Recognition that selling is a positive and necessary part of a liaison librarian’s role. First, it is important for liaison librarians to embrace selling as a positive, mutually-beneficial activity. Selling is not just high-pressure closing techniques that attempt to push a buyer into making a decision that they don’t want to make. 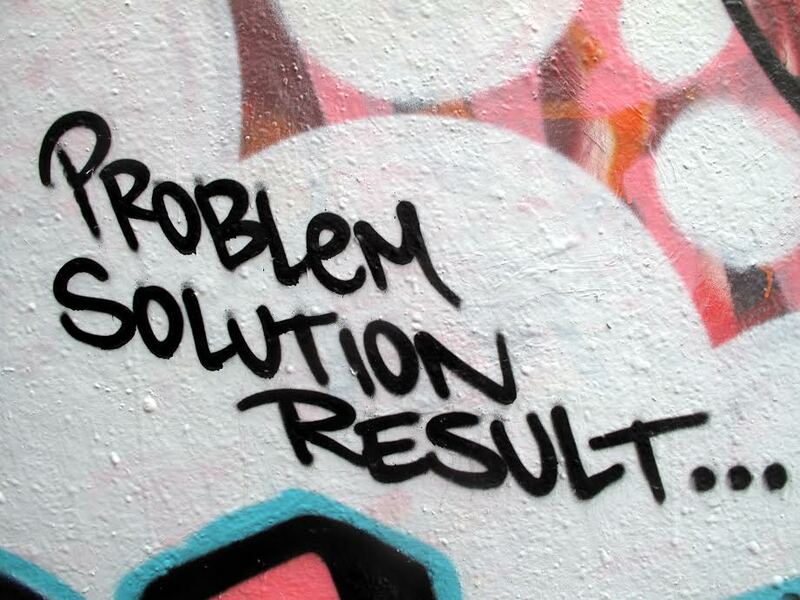 At its foundation, selling is about helping people find solutions to their problems and challenges. Sales conversations are natural parts of human interaction, in both professional and personal life. As sales guru Zig Ziglar notes in Zig Ziglar’s Secrets of Closing the Sale: “Everybody, including coaches, dentists, household executives, ministers, builders, interior designers, etc. sells and everything is selling” (111). In fact, Ziglar stresses that “a … salesperson is a counselor who identifies that prospect’s needs and then fills those needs through his goods, products, or services” (127). This is exactly what liaison librarians aim to achieve in their engagement efforts — identify the needs of users that can be filled through library services and resources. 2. Effective selling requires goal-focused interactions. 3. Enthusiasm for the library’s resources and services. He also advises, “If you don’t believe the customers are the losers when they don’t buy, you are selling the wrong product. If you don’t feel a sense of loss for them, you are not going to be as effective and persuasive as you could be” (84). What this means for liaison librarians is that they must believe in the services their library offers. If, for example, liaison librarians are trying to sell an information literacy session to a faculty member, they must firmly and passionately believe that students are more successful when they participate in information literacy sessions. They must use that conviction to convince faculty that it is worth one (or more) class sessions to give students this opportunity. 4. Ability to investigate the needs of the customer. Rackham (1988) found that in long-term seller-buyer relationships, the ability to investigate the needs of the prospect by asking questions is statistically correlated with the success of the interaction (14-15). Liaison librarians are trained to ask high-quality questions as part of the reference interview. By adapting this skillset toward a solutions-focused approach, liaison librarians position themselves to engage more effectively with library users. The next section describes how the use of Rackham’s sales methodology can build on a liaison librarian’s reference interview skills to enhance problem-solving with library users. After investigating a range of different selling methodologies, we identified the SPIN® Selling method as the strongest one for selling library services. The SPIN® Selling method was developed by Neil Rackham of Huthwaite, Inc. (Rackham 1988) and grounded in his research and experience examining factors that contribute to the success or failure of thousands of sales interactions. His methods are compatible with the goals of librarians because he explicitly places customer needs and benefits at the forefront of the sales process. His method lays out a step-by-step process for approaching sales as a conversation, providing a roadmap for people without sales experience to practice and replicate. Liaison librarians can apply this methodology as a conversational framework for in-person interactions that necessitate the promotion of a library solution to a potential library user. This methodology can close the gap between what users know about library offerings and what liaison librarians can do to add value to the user’s work. Liaison librarians know that in order to provide relevant service to library users, it is essential to understand the context of their work. Prior to meeting with a prospective library user, the liaison librarian should gather as much information as possible about the user. In anticipation of working with faculty, liaison librarians are skilled at tracking down faculty CVs and research interest statements online, locating past articles they have authored, identifying grants on which they are investigators, and reading syllabi and course descriptions for the classes that they teach. a. Which journals are most important for your work? b. Are your students completing any research assignments this semester? c. Are you working on any research assignments this semester? d. How do you use the library? Based on the information gathered about the library user, the liaison librarian can then think about potential challenges that could be addressed by library resources or services. Liaison librarians should try to put themselves in the mind of the user to brainstorm problems or difficulties that might suggest an interest in a library service or resource, and then plan how a conversation might flow from initial greetings to proposing a library solution. For example, if the librarian learns that the user has a large amount of research data stored on an external hard drive, the librarian might ask about the need for long-term access to that data or if the user is concerned about the risk of losing access to their data. When the user discusses a problem or difficulty they are having, the liaison librarian uses additional questions to determine the seriousness of the problem. The goal of these questions is to help the user begin to see how the problem is really affecting their work, because until they see the problem as something that needs to be solved, the motivation may not be there to take action. a. What kinds of problems do you see in student research papers? b. What kinds of obstacles do you encounter when you are looking for grant funding? c. When your instructor asks you for “peer-reviewed” sources, is it clear what they mean? d. Do you spend a lot of time formatting the sources in your bibliography? a. How much extra time does it take to grade a paper with the problems you mentioned? b. Have you ever missed out on grant opportunity because you learned about it after the deadline? c. Do you spend a lot of time searching for peer-reviewed articles for your assignments? d. Have you ever had points taken off for errors in your bibliography? a. So if we could help your students to find quality sources, would that help you? b. If there was a way to have funding alerts sent to you automatically, would that be useful to you? c. If I could show you an easy way to find peer-reviewed articles on your topic, would that be helpful for you? d. If I could show you some software that automatically creates your bibliography, would that help you to save some time? Liaison Librarian: Hi! How are you? Assistant Professor: Oh, hi—good to see you! Liaison librarian: [Let’s begin by asking some Situation Questions] Are you teaching any classes this summer? Assistant Professor: Yes, I’m teaching international relations. Liaison Librarian: Is that a new or existing course for you? Assistant Professor: New, but I’ve borrowed heavily from a course I taught as a grad student. Liaison Librarian: Do students do any research assignments in the class? Assistant Professor: Yes, students will do a group research project and presentation on an aspect of the political economy of post-Soviet states. Liaison Librarian: [Ok, let’s try some Problem Questions to see if we can identify a problem that can be solved with library services or resources] What kinds of challenges do students experience when they’re doing their papers? Assistant Professor: Based on my other courses this year, the first-year students really struggle with choosing quality academic sources for their projects. Liaison Librarian: [Let’s change the focus to Implication Questions. What is the impact of the problem?] How do those problems affect your grading? Assistant Professor: Well, with the first-year projects sometimes I actually have to find the web page they are citing and determine if it is acceptable or not. It doesn’t seem to matter that I tell them to use academic sources, some still cite questionable web sites. Liaison Librarian: [Let’s dig a little deeper with an additional Implication Question…] That sounds like it takes a lot of time. How long does it take to grade one of those papers? Assistant Professor: It depends – if I’m in a good “grading zone” I can get through a well-written paper in about 30 minutes. It can take longer though, if I need to make a lot of comments or if I have questions I’d like them to address. Liaison Librarian: Does that cut into your own writing and researching time? Liaison Librarian: [Using a Needs Payoff Question, we can outline the benefit of the proposed solution…] So if we could reduce this problem, it sounds like it would save you a lot of time? Assistant Professor: If there was a way to help students make better decisions about quality sources, I would gain some valuable time – if you consider that I spend so many extra hours on these papers, that’s a lot of time that I could be writing! What have you got in mind? The strength of the SPIN® Selling framework is its ability to structure the liaison librarian’s communication to address the needs and concerns of their campus community. By starting with the user, this methodology promotes the customized pairing of library solutions with the implicit and explicit needs and desires of the user. In order to practice the techniques Huthwaite suggests, we adapted examples from the SPIN® Selling book to create library-specific scenarios that allowed us to practice the four-step SPIN methodology. Using this method in our own outreach activities has produced two important realizations. The first conclusion is that it is rare to find a user who has an exhaustive knowledge of the services and benefits of their campus library. With that knowledge in mind, liaison librarians can approach almost every user interaction as an opportunity to “sell” the user on the benefits of library collections, spaces, and services. In a higher education environment that demands efficiency and effectiveness, this mindset is an excellent way to enhance the use of existing resources and services. Finally, in the same manner as the traditional reference interview, liaison librarians can learn and refine their ability to “sell.” The process of spending a few minutes writing down some potential problem questions in advance of a meeting is an invaluable confidence booster. In our experience, with practice, liaison librarians can generate problem questions with a similar proficiency to their reference interview skills. By approaching every interaction with the mindset that it is a potential “selling” opportunity and dedicating time for effective preparation, liaison librarians can develop a skill-set that adds significant value to their user community by matching existing services, spaces, and collections with users in ways that enhance their success. The authors would like to thank Barbara Alvarez (external peer reviewer), Ryan Randall (internal peer reviewer) and the editorial board for reviewing drafts of this article. Their excellent feedback contained valuable insights and suggestions. The authors would also like to thank our Publishing Editor, Ian Beilin. His efficiency and responsiveness made the publication process a pleasure. Bell, Steven. 2009a. “Academic Librarians Are Not Salespeople – But They Should Be” ACRLog March 24. http://acrlog.org/2009/03/24/academic-librarians-are-not-salespeople-but-they-should-be/. Bell, Steven. 2009b. “Academic Librarians Are Not Salespeople – But They Should Be – Comment.” ACRLog, March 26. http://acrlog.org/2009/03/24/academic-librarians-are-not-salespeople-but-they-should-be/#comment-117468. Bosworth, Michael T. and John R. Holland. 2004. CustomerCentric Selling. New York: McGraw Hill. Daniel, Linda, Jean Ferguson, Teddy Gray, Aisha Harvey, Diane Harvey, Danette Pachtner, and Kristina Troost. 2011. “Engaging with library users: Sharpening our vision as subject librarians for the Duke University Libraries.” http://library.duke.edu/sites/default/files/dul/about/subject-librarian-report-2011.pdf. Díaz, Jose. 2014. “The roles of engagement at The Ohio State University Libraries: Thoughts from an Early Adopter.” The Reference Librarian, 55(3): 224-233. Farkas, Meredith. 2009. “Didn’t Know I Needed To Be a Salesperson.” http://meredith.wolfwater.com/wordpress/2009/04/10/didnt-know-i-needed-to-be-a-salesperson/. Fister, Barbara. 2009. Academic Librarians Are Not Salespeople – But They Should Be – Comment.” March 26. ACRLog. http://acrlog.org/2009/03/24/academic-librarians-are-not-salespeople-but-they-should-be/#comment-117448. Fogel, Suzanne, David Hoffmeister, Richard Rocco, and Daniel P. Strunk. 2012. “Teaching Sales.” Harvard Business Review. 90: 7-8. Frank, Donald G., Gregory K. Raschke, Julie Wood, and Julie Z. Yang. 2001. “Information Consulting: The Key to Success in Academic Libraries.” Journal of Academic Librarianship 27(2): 90-96. Highlender, Stacy. 2010. “Using Sales Skills in Library Work.” http://www.liscareer.com/highlender.htm. Jaguszewski, Janice and Karen Williams. 2013. New Roles for New Times: Transforming Liaison Roles in Research Libraries. Washington, DC: Association for Research Libraries. http://www.arl.org/storage/documents/publications/nrnt-liaison-roles-revised.pdf. Kenney, Anne R. 2015. “From Engaging Liaison Librarians to Engaging Communities.” College & Research Libraries, 76(3): 386-391. doi: 10.5860/crl.76.3.386. Konrath, Jill. 2010. SNAP Selling: Speed Up Sales and Win More Business with Today’s Frazzled Customers. New York: Portfolio. Latta, Gail F. 1992. Liaison Services in ARL Libraries. Washington, DC: Association of Research Libraries. Malenfant, Kara J. 2010. “Leading Change in the System of Scholarly Communication: A Case Study of Engaging Liaison Librarians for Outreach to Faculty.” College and Research Libraries 71(1): 63–76. Mattson, David. 2009. The Sandler Rules: 49 Timeless Selling Principles and How to Apply Them. Beverly Hills: Pegasus Media World. Miller, Robert B., Stephen E. Heiman, and Tad Tuleja. 1999. The New Conceptual Selling; The Most Effective and Proven Method for Face-to-Face Sales Planning. New York: Warner Books. Miller, Rebecca K., and Lauren Pressley. 2015. SPEC Kit 349: Evolution of Library Liaisons. Washington, D. C.: Association of Research Libraries. November. Moore, Melissa. 2005. “Reeling’em In: How to Draw Teaching Faculty Into Collaborative Relationships.” Resource Sharing & Information Networks 17(1-2): 77-83. The Ohio State University Libraries. “A Framework For the Engaged Librarian: Building on Our Strengths.” https://carmenwiki.osu.edu/download/attachments/37010332/Engaged+Librarian+Document. Pasek, Judith E. 2015. “Organizing the Liaison Role: A Concept Map.” College & Research Libraries News 76(4): 202-205. Peacemaker, Bettina, and Jill Stover Heinze. 2015. “Moving Users, Moving Results: Exploring Customer Engagement for Deeper Relationships.” College & Undergraduate Libraries 22(3-4): 261-272. Pink, Daniel H. 2012. To Sell is Human. New York: Riverhead Books. Polger, Mark Aaron, and Karen Okamoto. 2013. “Who’s Spinning the Library? Responsibilities of Academic Librarians Who Promote.” Library Management 34(3): 236–253. doi:10.1108/01435121311310914. Pukkila, Marilyn. 2009. “Academic Librarians Are Not Salespeople – But They Should Be – Comment.” March 30. http://acrlog.org/2009/03/24/academic-librarians-are-not-salespeople-but-they-should-be/#comment-117782. Rackham, Neil. 1988. SPIN Selling. New York: McGraw-Hill. Rodwell, John, and Linden Fairbairn. 2008. “Dangerous Liaisons? : Defining the Faculty Liaison Librarian Service Model, its Effectiveness and Sustainability.” Library Management 29(1/2): 116-124. Silver, Isabel D. 2014. “Outreach Activities for Liaison Librarians.” Reference & User Services Quarterly 54(2): 8-14. Stoddart, Richard A., Thedis W. Bryant, Amia L. Baker, Adrienne Lee, and Brett Spencer. 2006. “Going Boldly Beyond the Reference Desk: Practical Advice and Learning Plans for New Reference Librarians Performing Liaison Work.” The Journal of Academic Librarianship 32(4): 419-427. Suster, Mark. 2013. “How to Develop a Sales Methodology: Developing Core Principles Can Help Unify Your Sales Team as Your Company Grows. Here’s How.” Inc.com. June 11. http://www.inc.com/mark-suster/how-to-develop-a-sales-methodology.html. Williams, Helene C. 2000. “An Academic Liaison Program: Making it Work.” Against The Grain 12(5): 1-22. Williams, Karen. 2009. “A Framework for Articulating New Library Roles.” Research Library Issues 265: 3-8. Ziglar, Zig. 1984. Zig Ziglar’s Secrets of Closing the Sale. Old Tappan, NJ: Fleming H. Revell Company. I think if you buy into the methodology, you are hard-pressed to resist the underlying philosophy. Lex orendi lex credendi. If going into every interaction with faculty w/ intent to “score the goal” – your goal – how are you “starting with the user”? I don’t think the intent of this methodology is necessarily to “score the goal” as much as it is to help faculty and students see how the library’s resources can be of use to them. In a way, we’re already doing this when we conduct a reference interview with patrons–asking about the context of their information need, asking about any problems with finding, evaluating, or using this information, and suggesting resources for them to use. After five years of sales and then a career switch into librarianship — this is the post that I have always wanted to write. Great article and great to finally see this being written about. Marketing and sales skills are essential to all the profession, not just the academic libraries (I work in a special/corporate library) ; gone are the days (they actually went several years ago) of “sitting back” and waiting for people to come in and use services and resources. As you say this only leads to our redundancy and closure. Perhaps Chris [Bishop] there is a niche here for you? This is so spot on! Librarians need to stop being afraid to use things that work in the retail/sales industry. Those industries use it because it works, and if we can harness it to help people and bring them the benefit of our collections and services then why wouldn’t we use it?